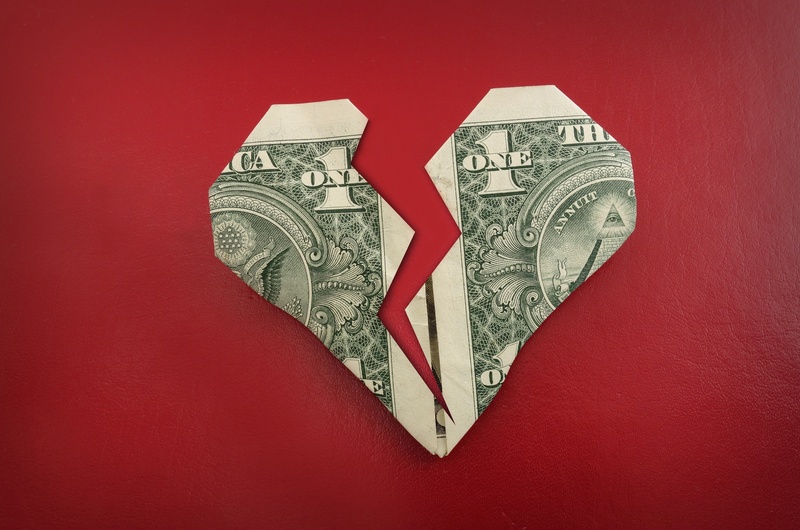 Experts estimate that the average divorce costs approximately $15,000, but expenses can range from under $500 for an uncontested divorce to more than $25,000 for a contentious divorce and custody dispute. If you don't have the liquid assets to cover these costs, you may be tempted to tap your retirement savings. However, if you are younger than retirement age, you will incur hefty fees if you choose to access your retirement accounts. In addition to paying tax penalties on early withdrawals from your 401(k) or IRA, a judge may also assess a 10 percent penalty for tapping retirement funds before the court has divided your assets. If possible, you should talk to your ex about how to preserve your shared assets during the divorce. Finding a way to pay your legal fees without tapping retirement accounts benefits both of you. Like your other assets, the court needs to know what retirement plans you and your ex have before dividing your assets. Start by collecting the summary plan descriptions (SPDs) from each of your employer-sponsored accounts. Once you have that information, identify the current balances of any IRAs, money market accounts, mutual funds, bonds, savings accounts, CDs and any other financial assets. With those numbers in hand, you - or your attorneys - can begin factoring an equitable division. Remember to consider how an account will be taxed when calculating its value. Roth IRA contributions, for example, are taxed upfront, while withdrawals from a traditional IRA will be taxed based on your marginal tax rate that year. Since many divorcing spouses don't agree on how to divide their assets, a mediator or attorney can help ensure you reach a fair settlement agreement. Some of your retirement savings may not be considered marital property. If you began contributing before you married your ex, your separate estate has a claim to part of that retirement account. Your attorney should carve out and value the contributions you made prior to this marriage. Even if you and your ex are willing to split all of your assets evenly, retirement accounts can be difficult to divide. Making changes to these accounts requires accurately completing and filing several forms, so it's important to choose an experienced attorney to represent you. A good divorce lawyer will take steps to minimize taxes, penalties and other fees as you and your ex divide your accounts. Depending on the length of your marriage, you may be eligible to receive Social Security benefits based on your ex's work credit. A former spouse may be entitled to collect Social Security based on their ex's earnings record if the marriage lasted 10 years or more, their own work credits total less than half of their ex's and they are currently unmarried. If you have been married for a little less than a decade and are depending on those benefits, you should discuss delaying the finalization of your divorce with your attorney. Anyone who meets these criteria, is 62 years old or older and has been divorced for at least two years can file for Social Security even if their ex-spouse has not applied for benefits yet. If you were born on January 1, 1954, or before, you can elect to begin receiving benefits based on your ex's record and delay claiming benefits based on your own work record until later. Anyone born on January 2, 1954, or later doesn't have this option. What if your soon-to-be ex wants to collect Social Security based on your earnings record? Don't worry - their eligibility and decisions won't impact your benefits. Your check will remain the same regardless of whether your ex-spouse files for Social Security based on your work credits. In the event of death, a former spouse can claim a benefit equal to 100 percent of their ex's eligibility. Eligibility for survivor's benefits extends to anyone who was married to the deceased for 10 years or more, not just the current or most recent spouse. Remarrying after your 60th birthday (or 50th if you are disabled) doesn't impact your eligibility, and claiming survivor's benefits won't affect the payments that other survivors are eligible to receive. While divorce may alter your finances, the right advice can help you keep moving forward. Whether you're saving for your future, planning for retirement or already retired, GuidedChoice's personalized advice can show you how to achieve your goals. Click here to learn more about our wide range of digital advisory services.